"The De gentilium deorum imaginibus was originally dedicated to Borso d'Este (1413-1471), duke of Modena and Reggio, who ruled Ferrara from 1450 [and who owned the Schifanoia Palace]. When Borso died, Lazzarelli appears to have erased his name and re-dedicated his work, this time to the condottiere and promoter of arts and sciences Federico da Montefeltro, Duke of Urbino (1422-1482...)." Eventually, the folio with its images and poems made their way to the Vatican, where they reside even to this day. Nowhere in Hanegraaff's biography of Lazzarelli do we find any trace of the folktale related in the Encyclopedia of Tarot, Vol. 1, about Lazzarelli finding prints of these 27 subjects in a Venetian bookstore, thus inspiring him to write his poems. To my unprofessional eye, these are not prints, or if they are, they have been painted over to look like manuscript illustrations. Until a few years ago, those images were visible at a website run by the Vatican, but nowadays the collection in full is missing from the Internet as far as I know. Nine of these Trumps are illustrated on p. 27 of the Encyclopedia of Tarot, Volume 1. Several images from the series are available in the files over at TarotSalon, - http://groups.yahoo.com/group/tarotsalon/ - found by our excellent friend and ally John Meador. As a foundation for the projections I am about to make upon Lazzarelli's list of Tarot Trumps, I want to point out this very helpful article by Danaa Mindon informing us about the earliest, unlabeled packs of Trumps and pips. Although Lazzarelli created his Trumps nearly a century after playing cards are first written about in Europe, Mindon will help us to have a sense of the working assumptions that were already in place at the point that Lazzarelli took up the Planets and Muses to picture forth his apotheosis narrative. The Lazzarelli Trumps hold a unique position in history, in that they demonstrate a living link between the Visconti-Sforza packs, the Marseilles packs, the Mantegna emblems and the game of Labyrinth (which admittedly came later, but which embraces all the subjects introduced in the previous Tarots and emblem series.) As we have learned from Mindon, individual Tarot users felt free to derive their card interpretations from a range of different traditional literary works (for example Pythagoras, Revelations, Dante, St. Thomas Aquinas). The resulting insight leaves us fully empowered to consider the bodies of correspondences which might apply to the these emblems, cross-check them against the materials known to be in Lazzarelli's milieu at the end of the 1400's, and finally propose a working system that respectfully relates the traditional Trumps catalogue (with their Hebrew Alphabet ordering intact) to the list Lazzarelli gives us of the Muses, Planets, Music and Poetry. Please note that I am not claiming to have "discovered the key" to the Lazzarelli Trumps. Other than the poem he left in the file with the images, we do not explicitly know what Lazzarelli was thinking. However, the ideas Lazzarelli was picturing forth have had a long and august career from Antiquity, and were undergoing a revival at the cusp of the Renaissance. Despite the intensely Christian culture of the 1400's, the early Tarot Magi were privately expanding upon the middle-ages tradition of using loaded images (the classical Gods and Goddesses, Angels, Virtues, biblical characters and mythical heroes) as placeholders and 'containers' for their Art of Memory constructs. If there's anything I hope to accomplish with this article, it is to make Lazzarelli's contribution to the dialogue with his peers more transparent, and to highlight his creation as a stage in an ongoing discussion that was still in motion after his death. We cannot be sure that Lazzarelli's pack of Trumps is the last word on the subject, but we can see that he was trying to make a bold step towards framing out a coherent working group of magical icons flexible enough to reconcile the interlocking demands of astrology, kabala, music theory, myth and Art of Memory. Also, to answer the unspoken question I assume will be echoing in my readers' heads as they peruse this article -- I did not undertake this investigation using the text that Lazzarelli wrote to accompany these images. For one thing, the text is uneven, reflecting Lazzarelli's changing circumstances and hopes. It seems he had an easier time finding things to say about the first ten icons, compare with the following 17. For another thing, my approach is that of an occultist foremost and a historian only secondarily. My questions revolve around how such a tool as Lazzarelli's emblems could be made to work in practice. It doesn't matter to me that these images were never circulated as "cards" per se, nor does it signify that the Mantegna emblems were never used that way either. A person using Art of Memory techniques could easily carry the entire catalogue in their head, as many Tarot readers do today. My interest is in fathoming the interior references being made between the Trumps of Tarot and the Lazzarelli series. This is generally not the kind of thing one would find trumpeted explicitly in a literary exercise written to one's patron, especially in those days. My goal is to make a deep examination of the evidence itself, without looking for a specific explanation from the hand of its maker. Let us remind ourselves of the situation 'on the ground' as we enter into the Lazzarelli zone. The Italian Renaissance was roaring up out of the fertile intersection of all the worlds' sacred traditions, converging around the Mediterranean. The participants at the time were not entirely unaware of the uniqueness of their age -- fitting comparisons were easily made to a reawakened spirit of Alexandrian-style syncretism. Intellectual circles of the day were reclaiming, practicing, embellishing, and transmitting a kind of magic that could lift the spirit beyond the boundaries of fixed time and space, allowing the prepared individual to interact with the Arcana, the Verities, those eternal forces enshrined in memory as the Gods and Goddess of antiquity. These same people were challenging the dominant cultural and religious paradigm by absorbing into themselves roles that had previously been left to the medical, legal and ecclesiastical professionals of the day. Seizing upon the sacred books of the world's traditions, and cross-referencing all the bodies of technique, symbolism, philosophy and remedy they could translate, the era's self-made Magi boldly assembled a "modern shaman's kit" with which, it seems, they were preparing to storm the heavens. The most educated and articulate of these people made themselves into esoteric polymaths, learning how to juggle and intertwine concepts from multiple metaphysical media -- astrology, Kabala, sacred geometry, theurgy, sympathetic magic, theology, talismanics, alchemy, gnosticism, music and more. A priceless resource for my investigations into the Lazzarelli cosmos has been Joscelyn Godwin's compendium The Harmony Of The Spheres; A Sourcebook of the Pythagorean Tradition in Music (Inner Traditions Press; Vermont, 1993). Because Godwin took the time to undertake this research and extract these pivotal nuggets from each teacher's work, we can hold in one hand the bones of a discussion that's been going on from its classical roots through the musical magi of the Renaissance and right up to the 20th century. This is the group that, in his own era, Lazzarelli was studying with, writing for, and making his bid to join in the hallowed -- and fame producing -- memory of the Muses. 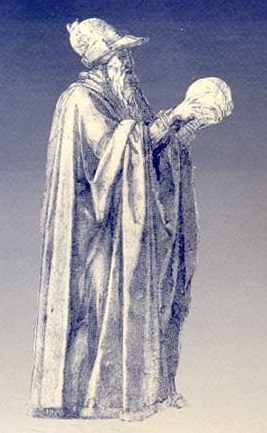 Godwin's section on the Renaissance Pythagoreans includes Marsilio Ficino, Ramis de Pareja, Pico della Mirandola, Franchino Gafori, Francesco Giorgi, and Heinrich Glarean. The two others in the section, Gioseffo Zarlino and Jean Bodin, were born a bit late to reflect the same attraction for recondite correspondence systems as their elders. I include Glarean in this discussion (though he was only 10 years old when Lazzarelli died) because of his synthesizing activities (reporting on the best of what came before), and for his desire to explicate a clean working system from the folds of history. In the same spirit, I'm hoping that by including input from a cross-section of the era's experts on the subject, we will gain perspective on the challenges facing anybody who is trying to make a set of 22 Trumps for Tarot out of the Planets and Muses. The fact that Christianity rests upon the foundation of the Pentateuch forces Christian theology to stand in the footprint of the Hebrew Mysteries. From the early Church Fathers through the cathedral-building era, knowledge of Hebrew has been lapping at the shores of Christianity whether or not the administration at Rome was favorable to the idea. Therefore Lazzarelli had scrupulously unimpeachable sources to draw from within the Christian canon, should he need to defend his personal interest in the Hebrew roots of scripture. Of particular interest to our investigation is the fact that the Christian scheme of Angels, Spheres, Planets and Muses is a mirror of the Kabalistic Sephira and their associated Signs, Planets and Elements. The common denominators linking the two systems are the astrological values held by each. The Kabalistic cosmos is grounded in the Sefir Yezira, which is how Lazzarelli would have learned about it. Because he was born in, and kept strong connections with, the town of San Severino in the Marches area of northern Italy (which had a significant Jewish community), Lazzarelli was exposed to Hebrew mysticism in a natural way. The works of Abulafia, Gikatilla, and Abraham ibn Ezra enriched his educational and social environment. In his early adult years, he made a systematic study of the Hebrew language "so that he might be better able to investigate all things" (Hanegraaff, Lodovico Lazzarelli, p. 77) After imbibing the Sefir Yezira and the Zohar, Lazzarelli had a firm grounding in the practice of the Hebrew mystics. Therefore it's impossible for him not to have known that the teachings of the Kabala group the letters into orders of 3, 7, and 12 , representing the Elements, Planets and Signs of astrology. 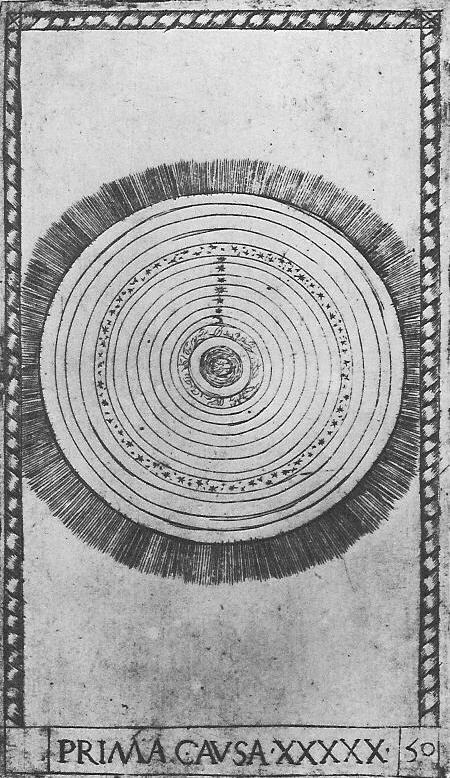 The natural order of the alphabet weaves the three orders of letters through each other in what seems like a random pattern, but collectively the Letters define the Tree's three horizontal paths, seven vertical paths, and 12 diagonal paths, all gradually working their way "down" (heaven to earth) through the Spheres. Christians had been encountering this world-view via converted Jews across the 1300's (in Gikatilla's Gates of Light, for one), even before any of the Hebrew holy books were translated by Ricci into the Latin. What many people forget in their studies of the Kabala is that there is a musical/magical dimension to all the civilizations that were informed by the ancient Babylonian and Egyptian temple cultures. The Jews, of course, were deeply impacted by contact with both nations. I made some steps towards introducing these connections in a previous article in this series. My operating assumption is that Lazzarelli was at least somewhat aware of the Hebrew teachings about the music in the letters, since there is a segment of the Sefir Yezira that exists primarily to help the mystic gain skill in the cantor's art. We will not be discussing this dimension of Lazzarelli's sequence at this time, however, though the implications are potentially huge. "This threefold scheme of notes, planets and Muses became a favorite, It was repeated by Fanchinus Gaffuris (De Harmonia Musicorum Instrumentorum Opus, 1518), Henry Cornelius Agrippa (Book II of De Occulta Philosophia, 1533), Heinrich Glarean (Dodecachordon, 1547) and others. The Angels, it might seem, were usurped by the Muses in the humanistic enthusiasm of the time. But it is clear from their very first description in the Theogony of Hesiod (8th-7th cent. BC) that the Nine Muses are the very same beings as the Angels of monotheism. All that one has to understand -- and for many it is unthinkable, admittedly -- is that these beings actually exist and they are knowable. To Hesiod they appear as messengers who accost chosen human beings such as poets, charging them with a divine mission (Gk. angeloi = messengers), at the same time leading their own life a little below the summit of Olympus, i.e. just below the hierarchy of the gods. The implication of the Muses' patronage of the arts, a theme so beloved in the Renaissance, is that the Arts in their essence are no human invention but a gift of superhuman origin and inspiration, reflecting some form of universal knowledge and wisdom; and that the route to this wisdom lies through mediation by a feminine principle. At the other extreme of Greek Antiquity, the Neoplatonist Proclus (AD 410-485) distinguishes the Muses from those other heavenly musicians, the sirens, by explaining that the gift bestowed by the Muses is an intellectual harmony, that of the Sirens a corporeal one -- 'which is why the Muses are said to prevail over the sirens and to be crowned with Siren's feathers'. To the Christian division of the planetary from the angelic realms, then, we can equate the Classical distinction of Sirens from Muses." "...Agrippa's Kabbalah is a purely Christian one, treating this sacred Jewish lore as an extremely important and valuable tool, but not granting it fundamental superiority. In a way, we can perhaps say that Agrippa's Christian Kabbalah represents a stage in the maturation of Christian Kabbalah, a step beyond the initial wide-eyed awe of Pico and Reuchlin, and of the young Agrippa himself, for whom the discovery of Kabbalah seemed to offer potential solutions to basic mystical and magical problems. It remains for future scholarship to ask why Christian Kabbalah died as quickly as it did. After about the mid-seventeenth century, which saw Christian Knorr von Rosenroth's massive Kabbala denudata [Kabala Unveiled], Christian Kabbalah more or less vanished as a form of occult thought. Jewish Kabbalistic thought, particularly Lurianic Kabbalah, reappears periodically over the next two centuries, in Behmenist thought, in Leibniz' theories of perfect languages, in speculative Freemasonry, even in Schelling's Die Weltalter, and comes back to the center of occultism with Eliphas Levi in the mid-nineteenth century. 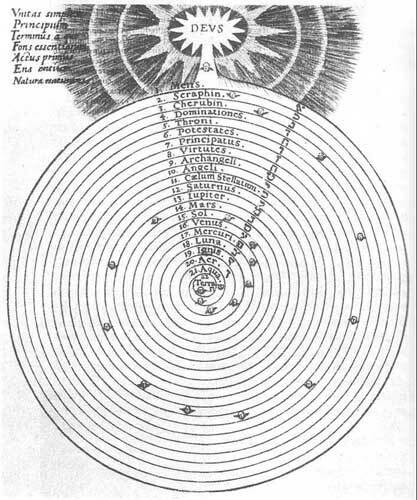 But Christian Kabbalah, of the sort formulated by Agrippa, Postel, and others in the sixteenth century, has its last gasp with Knorr von Rosenroth and Robert Fludd in the seventeenth century. When I pore over this segment with my mental microscope, it seems that Lehrich is saying that once the later Christian Cabalists learned more than the superficials which Lull, Ficino, Reuchlin, Pico, Agrippa and others up to Fludd popularized (mostly with the motive of converting Jews to Christianity), our archetypal Magi realized that the entire astro-alpha-numeric (AAN) system is more elegant and authentic when studied from the Sefir Yezira directly, than learned secondhand from the less mature wave of Judaising Christians. This is something that I have noticed as well; a gradual trend away from interpreting Hebrew teachings through a Christian lens, moving instead towards studying the Jews on their own terms, in their own language. But Lazzarelli was caught up in the spirit of his times, which was still resonating with the Crusader ideal of "winning souls for Christ". There are two primary ways I find the AAN tables of the 14-1600's being presented. #1 The Christian Cabbalist way -- This is how we see it in Dionysius the Areopagite, Joachim de Fiori, St. Bonaventure, and Thomas Aquinas, who are then followed by Thenaud, Giorgi and Fludd. This links the alphabet and numbers to God and the angels plus the Spheres/planets and the four elements. Note that in the writings of the Christian Magi these values are usually presented in the Lullian style, with the A on the most divine value in the catalogue (God or the topmost Angel), working systematically 'down' through the alphabet to the bottom of the Ladder of Lights (the four Elements). This general top-down scheme mirrors the Kabala revelation of the Hebrews, in which the Tree is externalized by stages from its uppermost/innermost Mystery to the lowest and most external crust of matter. #2 -- In contrast, the Mantegna emblems and the standard Tarot trumps generally run the opposite direction, beginning the alphabet at the earthly level (the Stations of Man) and working up the Ladder of Lights, leaving the most celestial values for the end (Primo Causa). Lazzarelli's collection of Planets and Muses propose a third approach that combines the virtues of the previous two methods in one sequence. Lazzarelli's Trump set is dominated by a synthesizing inspiration, which he demonstrates by arranging his Trumps in a circular pattern. His sequence begins in the heavenly realms (First Cause). He then descends through the Planetary Spheres to the Moon. Then Lazzarelli picks up the zodiac in backwards order (Music = Libra, Poetry= Virgo, Apollo=Leo, and so on). By following the general backward sweep of the Muses, the user works their way through the signs from Libra to Scorpio, as if to unwind the karmas taken on via incarnation (during the original, 10-stage descent). At the end, the cycle leaves off where it took up, back at the footstool of God. And lest this approach to the 22 as 10+12 seem utterly unwieldy to the modern mindset, I recommend the reader to the excellent and fascinating Tarot and Individuation; Correspondences with Cabbala and Alchemy by Dr. Irene Gad, who is advocating the very same path of self-initiation -- a downward sweep upon the Planetary Spheres (the Kabalistic Sephirot) followed by an upward climb along the Paths. Dr. Gad is using the Oswald Wirth Tarot in Hebrew Alphabet order, she's writing over 500 years after the Mantegna series, plus she's utterly unexposed to Lazzarelli (or so it seems). Nevertheless she uncovers the same archetypal 10+12 model in the Trumps without missing a beat. But let me note right now: the relationships between the Muses and to their planetary/zodiacal co-respondents are not simple or straightforward. Both the historical path of their arrival at the 1400's, as well as their enthusiastic but mixed reception by the Renaissance Magi, show divisions, experimentations, an unsettled situation overall. The creative tension existing between the Mantegna presentation and the Lazzarelli presentation hangs out a red flag, making us sit back on our heels and really think about what is going on here. Lull was not assigning arbitrary values to the variously divided compartments of his wheels. He used the letters of the alphabet to stand for the attributes of each wheel's segments, the same way we nowadays use numbers to count out a list. 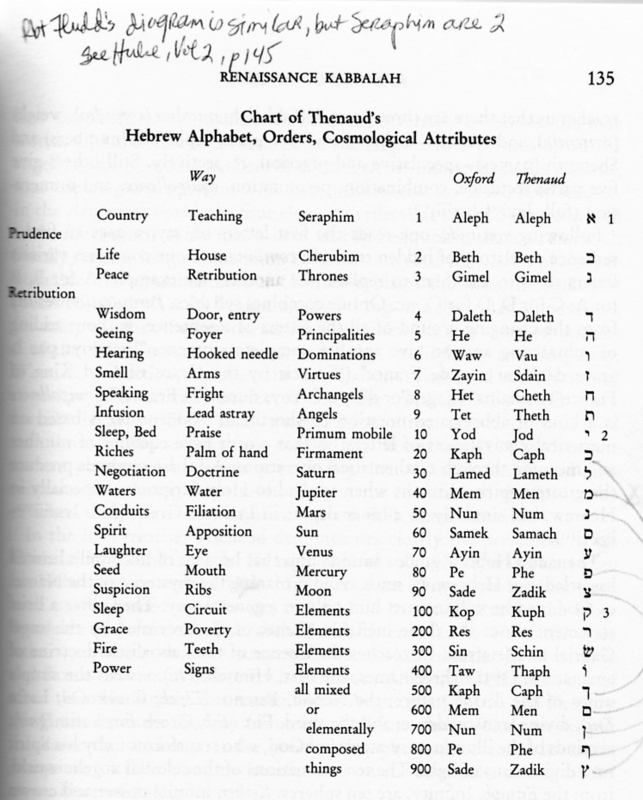 Because the letters of the alphabet came to him through the Hebrew Mysteries, with a huge symbolic catalogue of correspondences already attached, he quickly saw that using letters would help him pack the maximum amount of information into each wheel while evoking the bare minimum amount of external busy-ness. Four is the number of directions (N, S, E, W) and elements (earth, air, fire, water) that fill up the earthly world. Five points to a synthesis and amalgamation of the four elements into a living substance called "quintessence", representing what is special and unique about humanity within the whole of Creation. Six is the number of complimentary opposites, achieving this meaning via the polarity of 2 multiplied by the harmony of 3 (the number of the Trinity), symbolized by three balanced pairs of opposites interacting through a six-pointed star. Seven always refers to the Seven Planetary Governors, the visible planets in the nighttime sky, and the cultural week of seven days. Eight is the compass points, which mark the solstices, equinoxes and cross-quarter observances of the agricultural year. One who is aware of this canon of interior associations with the letter-numbers' individual identities comes into possession of a rich body of correspondences with which to harness the number/letters for more than just their ordering and counting functions. Lull's use of letters as both numbers and esoteric identities (governing the themes of his differently-numbered Wheels) encouraged future generations' use of alphabetical organization in their Art of Memory emblems, as we see in the Tarot packs, the Mantegna emblems, and the Lazzarelli Trumps. Obviously, this is another of the many questions that will have to be set aside for a further study. The alphabetic subplot present in the Tarot Trumps makes us question whether there might be a similar underpinning to Lazzarelli's choices, including the five 'extra' images in his series. This topic was taken up, alongside the overall discussion about the Muses, at the Aeclectic Tarot forum, in a thread devoted to Lazzarelli - http://www.tarotforum.net/showthread.php?t=35389&page=1&pp=1. The following quotes were gleaned from that thread, which is fascinating to read in its entirety, though some lines of thought represented in the conversation were subsequently put to rest when Hanegraaff's book on Lazzarelli came out in 2005. For the sake of completeness, I'll mention a few ideas here. Lazzarelli does not stay with the Decave as his major model, but he has clearly been influenced by it. ...Looking among my alphabetic references, I find that <Stephen> Flowers (of Hermetic Magic), gives us several versions of Phoenician-based number-letter alphabets with more than 24 letters. However, it is Hulse, in his Key to it All, Book 2, p. 8, that says" "by 400 BCE, a 27-character alphanumeric code for Greek was established paralleling the Hebrew 27 alphabet model of King Ezra. "According to Claude Mignault of Dijon: "Thus Homer, that greatest of geniuses, represented the first four elements, fighting among themselves and producing each other, under the names of Jove, Juno, Neptune, and Pluto. " Now that we have heard some interesting leads about the count of 27 and the possible identity of the extra emblems, it's time to lay those subjects aside, since they are not our central issue. Our concern is to follow up any clue that can help us understand the thinking guiding Lazzarelli to fit the Mantegna emblems into an explicitly Tarot framework. Towards that end, it's time to step back into the process of contextualizing the Muses some more, in hopes that gradually the issues will become clearer. the similar 10/2/10 or (10/12) pattern adapted by Lazzarelli from Mantegna, which assimilates the Planets to the Spheres and then blends the zodiac with the Muses, Apollo and the specifically magian Arts of Music and Poetry. I'm not sure that a comprehensive list currently exists exemplifying all the possible bodies of correspondences that might have been applied to the early Tarots in a meaningful manner. However, even these few suggestions ought to be enough to demonstrate that the environment within which the Tarot appeared was supplied with a rich mix of inspirational materials derived from Pagan Antiquity, the mysticism of the Arabs and the East in general, the scriptures of Judaism and Christianity, plus a potent brew of contemporary gnostic, magical, Holy Grail and alchemical speculations. In truth, the Tarot researcher is presented with an embarrassment of riches when attempting to winnow the possibilities down to the most likely sources for a given set of images! In the case of the Lazzarelli Trumps, we are incredibly lucky in that Lazzarelli left us a substantial trail of crumbs to follow, though it has long been ignored. Even better, Lazzarelli's fame is considerably enhanced through his recently released English-language biography. Hanegraaff is an amazing scholar, who, among other amazing productions, is the author of the excellent article Sympathy or the Devil; Renaissance Magic and the Ambivalence of Idols (http://www.esoteric.msu.edu/VolumeII/Sympdevil.html). In this article, Hanegraaff used Lazzarelli's Trump set to demonstrate that these kinds of emblems would have been seen as inherently magical from the very first instance of Tarot's appearance. The challenge of interpreting the ordering of Lazzarelli's choice of Trump subjects is illustrated by looking over the Mantegna emblem series. What we see here is an attempt to merge multiple orders of entities inherited from the classical world into a 10x5 matrix. This required some creative cutting and pasting, because to make these neat, tidy rows of ten items each, older models had to be rounded up to fill in the empty categories. Starting on the foundation of the "Ranks of Man" (1-10), our decave-based ordering is set. The next series (11-20) on this rising Ladder of Lights are the 9 Muses, which are easily completed by Apollo, the leader of the group who sits at the "top" of the list. But let us not allow ourselves to become complacent towards this series of images, because it comprises a surprisingly tough Gordian Knot that we will have to mediate long and hard on before we can come close to untangling it. The next rising series (21-30) portrays the Liberal Arts, though these number only seven -- first the three verbal arts (grammar, logic, and rhetoric), then the four mathematical arts (geometry, arithmetic, music and poetry ). To fill out the row, an extra set of three items is inserted at the high-numbered end of the list, called Philosophia, Astrologia. and Theosophia. Note that because of the decision made to put the three 'extra' emblems at the top of the list, the correspondences are broken between the Muses and the Arts (Urania, muse of Astrology, is in an entirely different number-column than her Art in the row above). The next series (31-40) is similarly challenging to fit into a 10-based context. This time we are cataloging the Virtues. In this row, the three highest numbers in the series (in descending order) are given to the three theological Virtues (Faith, Hope and Charity). Then we start counting down through the four classical Virtues (Justice, Strength, Prudence and Temperance). The lowest numbers in this row have been given to three entirely novel (and youthfully masculine) personifications: Cosmico (Genius of the Cosmos, or alternately, of Earth, the dimension of Space -- interpretations vary), Chronico (genius of Time), and Iliaco (Genius of Light). The editorial choice to put these three values at the beginning of the row again jogs the correspondences askew. Finally, the uppermost row of images (41-50) show the Planetary Firmaments (or Governors) from the Moon to Saturn, then an Eighth Sphere, the Primum Mobile (Prime Mover, 9th Sphere) and the Prima Causa (First Cause, 10th Sphere). Again, the extra three that complete the row are placed at the uppermost end of the list, filling the final positions in the entire sequence. Even before we investigate the details, we can see that the Mantegna pack of icons unabashedly handles these traditional values as if they were pliable and available to interpretive rearrangement despite their long-settled individual characters and internal relations. A tolerance of experimentation seems to have been dawning among our musical doctors at this magical time. One supposes that it seemed logical and appropriate for that milieu, to present a syncretistic amalgamation of both new and old icons, cast in a fresh order. I'm guessing that the spirit of experiment demonstrated in the Mantegna series was part of the reason Lazzarelli responded with his own proposal for a Tarot Trump series in the Mantegna spirit. The Muses have a long history, which isn't necessary to rehearse here. Of the names mentioned among Godwin's musical Magi, only Ficino and Pico show up in the pages of Hanegraaff's biography of Lazzarelli. However, certain individuals stand out for their comprehensive attention to the history and attributes of the Muses, and so it is to them that we will look for the conventions governing these ladies' appearances in the 1400's. "Thalia remains silent, like the Earth, Clio we will attribute to the moon, Calliope we will say is Mercury's; Terpsichore we affix to Venus. The sun will blanch Melpomene. Erato will rouse up Mars; Jupiter will make Euterpe kind and glad; Saturn will sadden Polyhmnia. Lastly, the starry heaven will give comeliness and peace to Eurania." This is the system we see illustrated in the frontispiece to Franchino Gafori's Practica Musicae (Milan, 1496). Gafouri is also the principle source of Ficino's teachings on the subject, and later, Agrippa's. Strangely enough, however, we find Ficino and Agrippa making practical correspondences to the Muses that differ from the quotes they take from Ramis and Gafori -- both of whom reach back to Fulgentius. The working correspondences that both Ficino and Agrippa give (in the cases where they differ from Ramis) follow Proclus. Glarean, on the other hand, favors Hesiod. Clearly, there was more than one "tradition" under consideration when the Muses were being referenced in the Renaissance! We moderns no longer work with this model, since the heliocentric model of the ‘real world’ has supplanted it. Nevertheless this ordering is the signature of the ancient collective psyche, the psychocosm of the Medieval and Renaissance worldview. It is not an arbitrary arrangement and wherever we see it we have to realize that its user is immersed in the inheritance of Antiquity -- the heliocentric thesis would not be accepted for another two centuries at least. This is a totally jumbled list, whether it is numbered with an ascending or a descending count! What can possibly be going on with this set of Muses? Let's look again at the way Lazzarelli is using recycled ingredients to propose a new set of Tarot trumps. It isn't just the emblems from the Mantegna set that Lazzarelli is recasting. He's also restating the Trumps of the Tarot. Intriguingly, he's also implying a sibling relationship to the oddly Trumped Cary-Yale Visconti series, which like Lazzarelli's own series, selects some of its subjects from the canon of Mantegna ideas. (The Cary-Yale Visconti pack highlights Faith, Hope, and Charity, the theological Virtues, among its Trumps.) Clearly, Lazzarelli has surveyed the iconological landscape and has made his choices in an informed manner. We already know that Lazzarelli's Trump order departs entirely from the familiar Marseilles-style ordering that we have grown accustomed to over the centuries. Instead, he chose to creatively modify a foreshortened set of Mantegna icons while still understatedly holding onto the Hebrew alphabet format. For reasons we are not fully appraised of, he holds his Trump-count down to 22, thus implying (or begging the question of) the Hebrew alphabet he's studying in the Sefir Yezira and the Zohar (both of which Lazzarelli quotes directly in his writings.) Most of the handmade packs and the early woodblock printed decks of the era also had a 22-unit Trumps sets, which reminds us to look for a set of correspondences that relates to the Planet/Sign/Element links that the Hebrew letters bring to the table. Being aware of the 3/7/12 structure of the Hebrew alphabet as he was, but taking advantage of the Mantegna ordering as he did, Lazzarelli combines the component of 3 (elements) and the component of 7 (planets) into his opening series of the 10 Spheres. These can be understood in Kabalistic as well as Astronomical terms. The Spheres are then followed by a muse-denominated sequence that (generally speaking) starts with the earthly pursuits and gradually climbs to celestial levels. This instantly brings to mind the gnostic vision of the Soul being successively unwound from its planetary bindings, allowing it to ascend to its pre-incarnational origin. If the idea of a resemblance between the Trumps of Tarot and the Lazzarelli series holds water, then the 12 signs should somehow inform his series beginning with Music, Poetry, Apollo, and the 9 Muses. Through his choice of this cast of characters in his Trumps, Lazzarelli assumes the user has already been exposed to these invisible Planet-to-Muse correspondences. This would not be an unreasonable assumption, because the milieu Lazzarelli mingled in had a huge fascination with the classical gods and goddesses. Even so, Lazzarelli makes it impossible to read his specific correspondences from the faces of the cards. Because he refrains from explicitly naming the correspondences that stand behind his 12-part Muse series, I suspect is that Lazzarelli has left the specifics to the user to determine. In fact, it turns out that in Lazzarelli's own era and area, there is controversy between sources about the details. Over at the Triumphi site, a direct identity between the Lazzarelli/Mantegna Muses and those catalogued by Gafourio - http://www.trionfi.com/0/m/12/ - has been unquestioningly accepted. Without looking too deeply into the matter, there seems to be a one-to-one correspondence between Gafourio's presentation and both emblem series' lists of Muses. But on deeper examination, we can see several anomalies that should serve to remind us that these pictured Muses aren't simply copied out of any of the written sources. We have already seen that the Mantegna muse list moves "down" whereas the Lazzarelli muse-list moves "up". That alone is a clear indication to take nothing for granted from the outset. Further, because the muse Thalia has historically been corresponded to "earth" or the "subterranean realms" (meaning a realm inferior to the Moon in the old hierarchies), Thalia should claim a "zero" position in the Muse sequence, just as we see her taking in the Gafurio illustration (at the very bottom of the diagram). But in both the Mantegna icons and the Lazzarelli Trumps series, there is no such position -- each row starts with a "one" and ends with a "ten", and the "ten-value" of a previous row is never used as a pickup category for the following row. This is a difficulty for both series. In each set of icons,Thalia is poked into a middling position in the Muse sequence, where she sticks out as an anomaly compared to the list from Gafurio. Yet again, among the lists of Muse-to-Planet correspondences I have found roughly contemporary to Lazzarelli, there are only four out of nine Muses who are unchanging from one list to the next. That's less than half! This means there were some ongoing differences of opinion about how the other five Muses might be linked regarding planet and sign rulerships. Therefore it is conceivable that these Muses can undergo rearrangement in the sequence depending on which source work is presenting the series. Finally, in both the Mantegna series and the Lazzarelli series, the Planet sequence in the first half of the Trumps is not lined up exactly with the Muse sequence that follows. The overall ordering of both sets of Trumps is based on tens (+2 in Lazzarelli's case). Yet there are only seven visible Planets, and nine traditional Muses. That leaves both creators to figure out what images to fill in their allotted rosters with. The challenge is also raised of how to harmonize and excuse this ordering in each case. Within a model with 50 moving parts, one has the conceptual space in which to stretch out and develop ideas in detail. But in the relatively tighter frame of reference that is the Tarot pack, one has to be concise and hit one's marks with the maximum of efficiency. 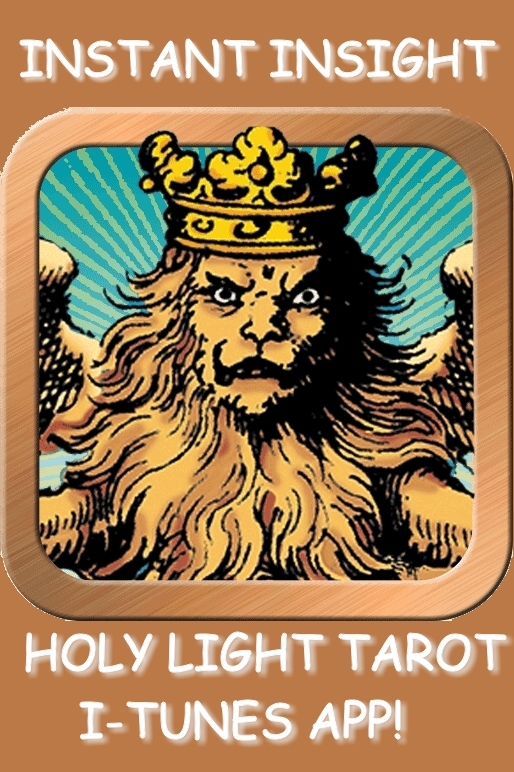 Therefore it is not unusual to see the Trump cards of Tarot decks linked with multiple layers of visible and invisible correspondences simultaneously. As is often seen in attempts to simultaneously codify information from multiple correspondences, something will have to give somewhere. A certain amount of cut-and-paste is unavoidable, risking either leaving some parts of the model on the cutting-room floor, or on the other hand, including "filler" to conceal incompletely realized categories. It seems as if, for the sake of the (unknown) larger goal which both the Mantegna and the Lazzarelli Trumps were created to serve, an executive choice was made to liberate the Muses from their traditional planetary order of presentation. Before attempting to pronounce on what the Mantegna/Lazzarelli Muse list might be expressing in it's eccentric order, let's tabulate the standard associations that each Muse is generally credited with. There are four Muses that are nearly unanimously agreed-upon, which are the Muses of the Sun, Moon, Saturn, and the 8th Sphere. The corresponding pairs become Clio (Moon), Melpomene (Sun), Polimnia (Saturn) and Urania (the 8th Sphere or Starry Heavens). Ficino and Agrippa, following Proclus it seems, assign the Moon’s Muse Clio to Mars -- but that is the only variation among this whole group of four. Thalia, -- named by Ramis as ruled by the silent Earth, but given to the Moon by Agrippa/Ficino, and to Venus by Glarean. Erato -- named by Ramis as ruled by Mars, but given to Venus by Ficino/Agrippa, and to Jupiter by Glarean. Terpsicore -- named by Ramis as ruled by Venus, but given to Jupiter by Ficino/Agrippa, and Mars by Glarean. Calliope -- named by Ramis and Gafori as ruled by Mercury, given to the 9th Sphere by Agrippa/Ficino, or else "an accord of all the Muses together" by Fulganius. Indeed, it seems that the values given by Ramos, oft repeated as they are, are not the only choices available to our Renaissance Magi. 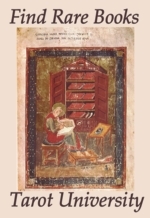 Among the several sources one might turn to for correspondences are Diodorus Siculus (Book V), Homer, Hesiod, Saint Augustine (Book II of De Doctrine Christiana), Proclus, Fulgentius, Callimachus, Aristides Quintilianus (Musica, Book II), and Herodotus of Halicarnassus (in his Hysteria). From this little tour we can see that we have stumbled into a veritable nest of controversy! How will we ever recover our orientation?
" We think, as many believe, that the muses fit the stars, modes, and strings, so that we ascribe them to single strings to which the beginnings of modes are given, placing one with each. On the seventh string... is Saturn with Aquarius and Capricorn, also Polyhymnia and the Myxolydian mode. Here, then, is our missing information. The muses have traditional correspondences not only to Angels, Spheres and Planets, but to the signs as well. The correspondences attached to the Muses are such that these ladies can be used to signal the signs of the zodiac as well as the planets of the Solar system. Now, perhaps, we have enough information to fit the system back together intelligibly. We have to realize up front that the Mantegna pack has reordered the Muses, for reasons we are currently not entirely clear about. Lazzarelli retains that Muse order while adding a few icons at the beginning of the sequence and flipping the orientation of the Muses' flow so they would be seen as progressing "up" the zodiacal rulership ladder (though in backwards order, opposite to the direction the sun travels). Once we bring to mind the correspondences of the Muses to the signs of the zodiac using the rulership pattern highlighted by Gafori (and used everywhere throughout the Medieval and Renaissance eras), we can begin to discern a possible underlying pattern that could be informing the ordering of the second half of Lazzarelli's Trumps. ...I will now share the underlying pattern that seems to be inherent in Lazzarelli's Muses. In every case where I could, I found an authority that was asserting the same Muse-sign correspondence as I have given. When that matching process was complete, there were only two Muses and two signs left unpaired. If you compare this to zodiac list to the list of Muse/Planet correspondences given above, (where only four Muse/Planet pairs were seen as uniform across most or all of the historical sources, and five were seen to be wildly variant from each other), I consider these 10-out-of-12 matches to be fairly miraculous! I am interpreting this energy as Jovian, suggesting the Great Benefic, since we already have a Sun card and a Leo card. This muse is said to excel in profound thought and contemplation. Mars in Scorpio (given variously to "the concord of all the Muses together", or to Mercury, or to the 9th Sphere). She has been called "the leader of the Muses". Calliope has the most ambivalent function of all, which goes along with her many-voiced nature. I'm going with the assessment of Ramis, who says that Calliope is an interpreter, therefore sometimes producing divinity, but that her mode can be used to flatter evil just as easily as it is used to praise good. Capella grants her "...the entire honesty of human speech", which is a specialty of Scorpio energy at its highest level. Let me admit that I would not have come to these concusions just from looking at the Mantegna muses. It's the addition of Music and Poetry to the series headed by Apollo that led to the inspiration of seeing a backwards-zodiac unfolding through Lazzarelli's Muse series. Perhaps there is some documentation attaching to the Mantegna prints that will in the long run solidify or refute this idea relative to the 50-emblem pack. However, it seems to me fairly evident that in the case of Lazzarelli's series, anyway, the signs of the zodiac are the proper set of symbols to expect to appear in concert with a recitation of the Spheres. But how can the traditional Trumps of Tarot be reconciled with the Trumps of Lazzarelli's Emblems? Now, how shall we assign the former list to the latter list, without doing violence to the ordering of either list? Remembering that the Trumps of Tarot were originally unnumbered, the idea arises that these icons can have more than one arrangement and still be "true". I have taken this reality from the game-uses of the cards, as I would assume Lazzarelli was quite familiar with the fact that the Trump order was variable depending on the game being played. Taking the Lazzarelli list and drawing out the correspondences between the planets and the Muses, I linked the Trumps that are not Planetary Deities to the signs via the Muse's and letters' zodiacal rulerships. The sequence is not perfect, the Muses seem a little bit "rumpled", and were possibly still somewhat experimental at the time. Just as one can find authorities that will vouch for nearly all of these correspondences, there can also be found authorities that would oppose them all. The attitude I have taken in making these correspondences is this: As in the ongoing controversies surrounding a few of the letter/planet correspondences in the Sefir Yezira, there are also Muse/sign controversies to be reconciled as well. There's no known expert that agrees 100% with any others. Perhaps this was why Lazzarelli specifically didn't assign Zodiac symbols to any of the cards in this part of the series, knowing that each user would need to make their own choices in this area. Here's the correspondence list again, arranged in Lazzarelli Order, with the Angels and the signs of the Zodiac added on. Note that I also condensed the 9 choirs of angels into three ternaries, because the Angels often show up as the component of three in Hebrew-letter denominated cosmogram lists. The Angels are typically assigned to the Trinity in groups of three. Cancer, because this Muse is ruled by the Moon. Clio is the "the desire to inform oneself, the will to be taught" Sometimes thought to be the Chief of the Muses. Gemini, as this muse is ruled by Mercury. Euterpe "takes pleasure in learning"
Melpomene "perseveres in contemplation, pursues and renews by studying. " Thalia (Talia) "grasps the seeds of the Virtues and germinates them, holding them fast to the Earth till they germinate." Polimnia is "the memory of many things", because of which she is of a melancholy temperament. Erato is Eros -- this Muse "elaborates to herself what she possess in the treasury of memory". Pleasurable fantasy and self-arousal are her gifts. Terpsicore takes delight in the Arts, able to understand and adjudicate merit based on experience. Urania chooses well what to appreciate, having "the ability to select the celestial over the transitory"
Calliope is sometimes thought to be Head of the Muses, an expressive interpreter whose pronouncements for good or ill can become destiny. She possesses "the entire honesty of human speech", being "an accord of all the Muses together"
What we see going on here is first a descent through the Spheres of the planets, then starting with Libra, a backwards rotation through the signs. This looks like we are unwinding the body's attachment to the planets and elements which, if true, betrays a powerful gnostic and Apotheosis motive in the whole series. their lips a lovely voce, sing the laws of all and the goodly ways of the immortals, uttering their lovely voice. While the Greek mountains of Olympos, Helikon and Parnassos were variously identified as the home of the Muses, what is being described here is an archetypal reality, the symbol of the World Mountain common to many traditions. The Cosmic Mountain is a polar, axial symbol located at the center of the world, depicting the levels and hierarchy of being. As we ascend from the miasma of the depths, at first the journey is arduous and painful; but as we progress, it becomes easier and more inviting. At the higher altitudes, the atmosphere is transformed; it becomes clearer, translucent, impregnated with light. We are led upward not in a spirit of conquest, but in a spirit of delight: the haunting choral harmonies of the muses draw us skyward to their bright dancing places, and we are treated to ever more spectacular vistas along the way. Finally, at last, under the direct inspiration of the Muses, we join in their dance and encircle the pole of culture. The upward ascent under the enchanting inspiration of the Muses is a spiritual journey of cultivation, education and initiation. This is made clear by ancient Indo-European root k*el- [cpt: * =superscript w], which means 'to revolve, move around, sojourn, dwell'. Its basic form gives rise to the Latin colere, to till, cultivate, and inhabit, from which are derived the words colony, cult, cultivate, and culture. A suffixed form of k*el- gives rise to the Greek telos, 'completion of a cycle,' which also means consummation, perfection, end, and result, while teleos means perfect and complete, and is the root of the word initiation (telete) Other suffixed forms of k*el- stand behind the Old English word for wheel and the Greek word kuklos, which means circle and cycle. Yet another suffixed form of k*el- is the source of the Greek world polos or pole, the central axis of a sphere around which all things revolve. By 'going back to the roots of things', it is possible to see the powerful connections which exist between cultivation, culture and the process of initiation, which denotes a form of personal 'ripening' and becoming who you really are. True culture -- the origins of which are traditionally ascribed to divine inspiration -- encircles a central pole, which gives birth to the city or polis. The words which spring from the Indo-European root k*el- suggest that both culture and personal cultivation (education) encompass a cyclical dimension, something also suggested by the word encyclopaideia, which means 'in the cycle of learning'. True education, rather than something assimilated during four years of college, forms a cyclical process of cultivation and an authentic path of initiation which extends for a lifetime, and perhaps even beyond." It's still an open question, if the socalled Mantegna Tarocchi was so early as suggested (ca. 1465) bei Hind. In the contrary I suggest, that Lazzarelli was the one, who influenced the later order of the Mantegna Tarocchi (ca. 1475) ... possibly only as an influence of his text, possibly in person. Hind in his time (1938) suggested, that the engravings of the Mantegna Tarocchi look similar to the work of the engraver of the "unknown" Ptolemy of 1478. What Hind apparently didn't know, was, that the likely engraver for this was already identified as Sweynheim. a German printer (belongs to the Sweynheim&Pannartz, both the first German printers in Italy). It seems, that Sweynheim engraved either himself or used an "unknown" artist, who engraved for him (likely it was simply Sweynheim). Sweynheim was in Rome, Lazzarelli was in Rome around that time. 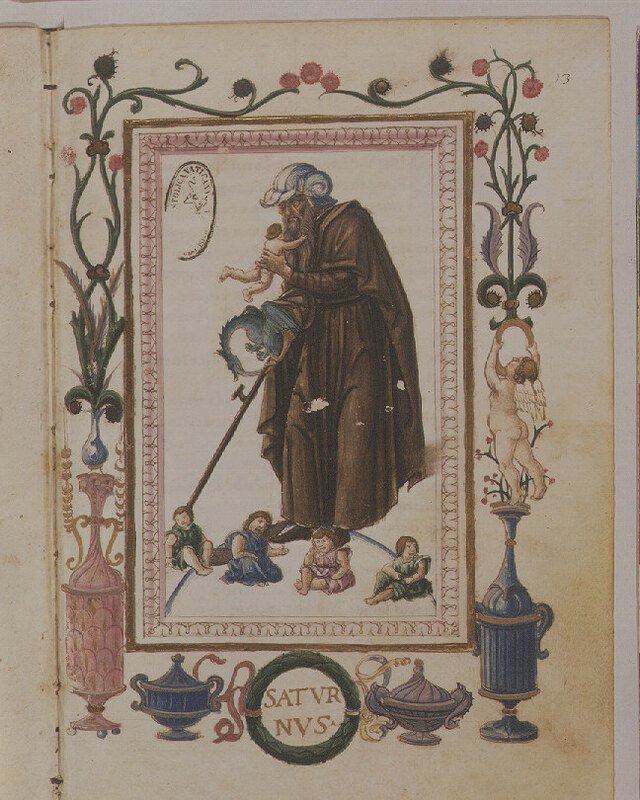 Lazzarelli couldn't have used his manuscript before 1474 (when Montefeltro became duke). It's proven, that friends of Lazzarelli used iconography of the Mantegna-series for other things (as coin-illustration). It's also proven, that the Mantegna series took a strong influence on early German humanists (much stronger than elsewhere) - which looks natural, as Sweynheim was a German and had naturally German connections, better connections than his Italian colleagues had. Also it's proven, that Lazzarelli was in Germany a prefered Italian author - more than elsewhere. Also it's evident, that Lazzarelli's great friend and master - Mercurio alias Giovanni di Correggio - carried the name of a Mantegna Tarocchi figure. Lazzarelli - as it is said somewhere and I wished, I would know the start of the story -, collected his pictures in a Venetian bookstore. It's not said, if all pictures were made from the same painter or of a complete set of engravings. It's not said, that the pictures already had numbers. Lazzarelli could have used any picture, that he found interesting enough. He composed his book out of it - illuminations, not engravings. The natural conclusion is, that Lazzarelli (other possibility: someone, who knew Lazzarelli or his text) composed also later the 50 Mantegna-Tarocchi-system, enlarging his own concept, which he already used before. Sweynheim did just that, what other copperplate engravers also did: He copied, what he was given, with a new technique, which he could use in the manner of a master. (although he was "only" a printer). Sweynheim had worked in the Gutenberg printing house in Mainz - and there were active masters of this new technique. It's possible, that Sweynheim thought for a while printing the more attractive technique, also he had become a Dominican, when he left Mainz in ca. 1463. Perhaps he had religious reasons to stop his artistical productions for some time. He worked some years on the Ptolomy, since 1473 till his death (1475 - 1777 ?) - something, which he wouldn't have done, when he had an "unknown" artist, who worked for him as copperplate engraver. Hi Lothar, great to hear from you! As to the idea, as you suggest, that " Lazzarelli was the one, who influenced the later order of the Mantegna Tarocchi (ca. 1475) ... possibly only as an influence of his text, possibly in person. " ...I really have no opinion one way or the other with this. Until we find the classical prototype for that odd muse-ordering they both employ, it's hard to say who took what from whom. I will admit I didn't ever see a zodiac in the Mantegna Muses though I've been looking at them for years. It is Lazzarelli's cut-and-paste job that revealed the inner architecture, if indeed I'm seeing anything real at all. I can't follow the sense of your remark here; what do you mean "used" in this sentence: "Lazzarelli couldn't have used his manuscript before 1474 (when Montefeltro became duke)"? You say: "Also it's evident, that Lazzarelli's great friend and master - Mercurio alias Giovanni di Correggio - carried the name of a Mantegna Tarocchi figure." If Lazzarelli's series came first, why would you call this a "Mantegna figure"? It's hard to see the relevance of this coincidental naming, given that the first time we hear about the 'prophet' Correggio is the 1480's, at least a decade after the creation of Lazzarelli's Trump set. Lazzarelli himself could have dubbed Correggio with that moniker. You say: "The natural conclusion is, that Lazzarelli (other possibility: someone, who knew Lazzarelli or his text) composed also later the 50 Mantegna-Tarocchi-system, enlarging his own concept, which he already used before." What seems natural to me is the idea of finding a Zodiac next to the Planets in a set of memory icons. Also the idea that a 22-unit sequence on the Hermetic Cosmos can be 'unfolded' into a 50-unit sequence (or 50 folded down to 22, either way). We see this kind of experimentation going on outside of the context of Tarot as well, both among the various game packs, and also in the correspondence lists assembled by the theurgical Magi of the era. The letter-numbers are understood to encompass not only decimal natures but also qualities that stem from their ordinal relations (their simple counted order in the sequence). So all of this seems in-built together. What seems unnatural to me is this bizarre and asymmetrical Muse-list as enforced by the roman numerals that come with their titles. Until I can figure out why they appear in this order and no other, I will not be assuming that I know what is 'natural' for this series, or which set of images came first. "Lazzarelli couldn't have used his manuscript before 1474 (when Montefeltro became duke)"
The manuscript was first dedicated to Duke Borso d'Este, but this one died in August 1471 (so Lazzarelli couldn't use it). The dedication was erased and the same text was dedicated to duke Federico Montefeltro (but the old dedication still was decipherable). As duke Montefeltro became duke in 1474, Lazzarelli couldn't have used his text before 1474 to present it to him ... the result of the interaction was a gift of 50 ducatos from Montefeltro to Lazzarelli (and so the manuscript went to Urbino). It seems most likely, that this interaction happened, when Montefeltro after a successful military campaign in summer 1474 got the title in Rome. At that time Montefeltro cooperated with Lorenzo Zane, who was Lazzarelli's sponsor in Rome some time. However, the first appearance of Lazzarelli in Rome is in doubt, at least for Hanegraaf, maybe 1473 or 1475. True is, that Lorenzo Zane used a Mantegna Tarocchi motif (Astrologia) on a coin probably in 1473, when he arrived in Rome - likely related to the Lazzarelli manuscript (although this doesn't include an Astrologia). Also it is true, that Lazzarelli's pupil in Varano used a coin with a Muse motif (Euterpe) from the Mantegna Tarocchi motifs between 1471-1482. And it is true, that Lazzarelli's later friend Giovanni da Correggio took the name pseudonym "Mercurio" ... a name, which appears in the Mantegna Tarocchi. According to our researches it seems most likely, that Lazzarelli saw Borso d'Este in early 1471, when Borso visited Camerino and Lazzarelli's master Cesare Varano on his journey to Rome, where he wished to receive the duke title of Ferrara. So Lazzarelli prepared the dedication and the manuscript then. But Borso died too early the same year, so Lazzarelli had no sponsor to address. Sorry, I use the name "Mantegna Tarocchi" to reassure, that a reader knows, what I'm talking about, because it is the common name for the set of 50 motifs. I don't want to indicate, that anything was made by Mantegna ... it's just a riddle, where these pictures are from. It seems true, that some of these motifs were found by Lazzarelli in a Venetian book store, but there is no guarantee, that he got all pictures of the same source and hand and that the complete series already existed as an edition with numbers. Definitely the series got a high popularity, curiously especially in Germany (many examples have survived). Hind as an expert for early Italian copperplate engravings expressed the opinion, that the series might be related to the "unknown" artist, who made the Ptelomy edition of 1478. However, this "unknown engraving artist" was already deciphered long ago as the German printer Sweynheim, famous as one as two first printers in Italy ... this is in complexity confirmed by letters. Definitely the composition has a "Venetian face", but this doesn't guarantee, that it was made totally in Venice. Lazzarelli/Lorenzo Zane is the team, which might have brought the Venetian components to Rome, where they were realised by a German technican (Sweynheim), who probably just followed the ideas and picture collections of the poet with the idea (Lazzarelli), probably managed by a dubious papal agent (Lorenzo Zane), who did run soon in great difficulties and soon had serious troubles with his sonsored poet (Lazzarelli), who expressed himself as being very disappointed (Lazzarelli) by Lorenzo Zane. The success of the series explains probably with the Jubilee year 1474, which attracted many visitors, also from Germany. The fact of the "unknown artist" ... how is it possible, that a famous successful production in history wasn't related somehow to a producer? Sweynheim died soon, his publisher Calderinus died soon, his partner Pannartz died soon and Lorenzo Zane and Lazzarelli as the survivors of the process ended in an unpleasant situation. So it seems, that the true story simply got lost and life proceeded without leaving great remarks about the process. please correct the typo "the Jubilee year 1474" with "the Jubilee year 1475"
I appreciate the clarification regarding Fulgentius. Also thank you for amplifying the issue of the 1475 dating. The essential question remains, where did the originals come from, and were they already a set when Lazzarelli took ahold of them to assemble in the way that he did? I hope that future researches bring us more clues. It clears up a lot of questions about whether the early Tarot decks would have been seen as "magical" or not.